A crossbite will almost never correct itself with growth. It can affect primary teeth and permanent teeth. 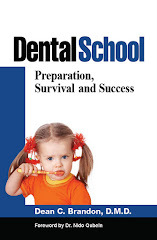 If the whole side of a primary dentition is in crossbite, there is a chance of the permanent six year molar erupting into crossbite as well. A bilateral crossbite is even more severe. Correction is usually recommended. 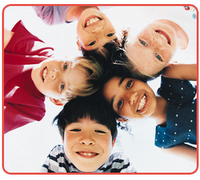 Most any age can be treated, preschoolers through adults. 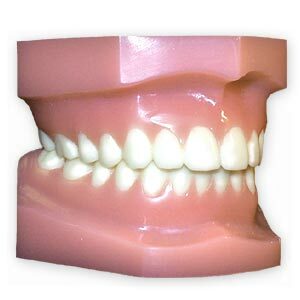 Treatment usually consists of expansion of the upper arch back to the "U" shape allowing the teeth to fit properly and allowing more room for the correction of crowding. Expansion like this is often part of more comprehensive orthodontic treatment (braces). 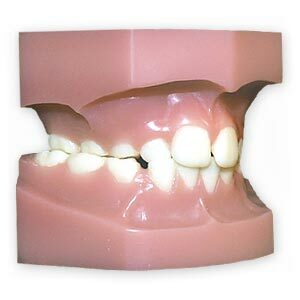 There are many types of orthodontic appliances used to correct this kind of bite problem. If the only treatment goal is to correct the posterior crossbite, then only a few months of treatment is needed. Once the crossbite is corrected, you usually leave the appliance in there a few extra months so it won't relapse after removal. Expansion is fairly easy in growing children. There is a suture or natural division in the left and right bones of the palate. After you separate the bones, they will grow together again in the new position. All this is a slow process and is not uncomfortable except getting used to the appliance in the mouth. Usually a course of treatment is about 6 months, although that can vary. One fixed appliance is a contraption that the patient (parent) uses a key to turn a small screw little by little every day. I prefer a Quad helix, which is kind of spring loaded and the parent doesn't have to do anything. Which one to use is based on the specific case. There are removable appliances as well (like retainers), but cooperation becomes a bigger issue there. Here are a few photos of a quad helix and a variant of an RPE (the thing with the screw), photos courtesy of QC Orthodontics Lab. The design I use is similar but a little different than these. If you've read this far, here's some more info:When is the best time to start Braces?. Kecik D, Kocadereli I, Saatci I. Evaluation of the Treatment Changes of Functional Posterior Crossbite in the Mixed Dentition. 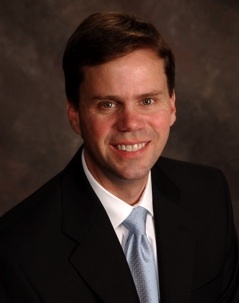 American Journal of Orthodontics and Dentofacial Orthopedics 2007; 131 (February): 202-215. Thanks for this website! I went searching last night for more information after our orthodontist told me that my barely-8 year old would need expanders, braces, etc now and then again after his baby teeth came out in a two-phase treatment plan. Multiple friends suggested that none of this was necessary, that I should just wait until he turned 12 and get regular braces to fix what needs to be fixed (crossbite, spacing, probably other things). Your website explains things in a way that I can understand and I feel much more able to make a decision on his treatment. Some kids can wait till all the baby teeth have come out (age 12-13) to get braces. However, each child is different and some many benefit from a two phase treatment protocol using growth to advantage. My post on the best time to start braces addresses some of this. Yes, I am 17 years old and will be getting braces and an expander in December. I have a posterior crossbite on one side of my mouth. I am scared to death that my suture or natural division will be closed shut because my ortho. said that it closes around 18 years of age. He said that the only other way to correct it would be to have surgery. Thanks! My e-mail is tannery2009@hotmail.com. I do not know about your particular case, but I have seen very little problems with that. It's me, again. The 17 year old with the crossbite. When I went to my consultation, my ortho. sketched my head. He said that everything was perfect, but only a few of the angles were off by a bit. My teeth are healthy, and my posterior crossbite is on the right side of my mouth. My ortho. told me about the suture (natural division) in my x-ray, and I saw a thin dark line. My consultation was in July. I am just so scared to death that my suture has closed. If it has closed, can an expander still work? Does the suture take time to close or does it close fast? PLEASE HELP ME CALM MY NERVES!! I do not know your situation, but I have not seen that kind of thing much at all in your young age. If there was a "dark line" on the x-ray , then there is likely a suture. Teeth still can move some with a "closed" suture. If he thinks an expander will help then I would suspect that it will. i' 13 yrs old and my new dentist (we recently moved) said that i have a cross bite ( didn't specify what kind) but since about 4 or 3 grade i've known my jaw was crooked and my original dentist mentioned that i might have to undergo a surgery to correct this . do you think that's possible ? will my jaw have to be wired shut? PLEASE ANSWER!!!!!!!!!! Most crossbites can be corrected with braces of some kind or another (without surgery). I would not worry too much, but ask you dentist when you are ready to address the problem. My 14 yr old has just been told she has bilateral (?) (both sides) crossbites. When she was 8 she was told she had unilateral and wore an expander then. We thought it was corrected but it is back. She is at an age that she is very self conscious and my mother is having a fit for us not to correct it. We probably will have it corrected but can you tell me what long term effects not correcting it may cause. I'm hoping this might help my daughter and my mother to understand why we need to correct the problem. 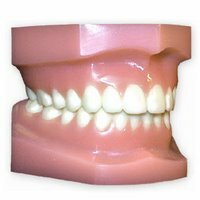 To get the teeth in proper/normal alignment it is often necessary to expand the arch to get all the teeth lined up. I would go by your dentist's recommendations as to the best way to do that. It is easier to expand on a young person than when they are older, although it can be done, although sometimes surgically in adults. BTW, I do see some relapse sometimes as you have described. Today it was recommended by the dentist that my 3 yr old would need the expander sometime next year. Does this seem a little young? She does have a overbite in the front and a crossbite which only the left side. I am not sold on the palatal expander. My 10 yr old has been recommended for one due to a crossbite on one side in the back and crowding. I am in favor of braces. Much less invasive. 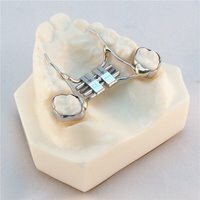 I can't seem to find anything on the web supporting an alternative treatment like braces alone to treat this. I have seen 2 different dental specialists and they both got very defensive and one got hostile when I asked about alternatives to the palatal expander. Could you point me in a direction with information on alternatives? I do not really understand the statement "invasive". All orthodontic appliances place forces in the mouth to create mevement. If your doc recommends expansion, force will be necessary, either like a quad helix or faster like a hyrax/rpe (the key thing).-a very common thing I might add. I know of no alternative to this. Most kids have no problem with these. You are not really avoiding anything by trying to get a different appliance. Sort of like asking for a Honda rather than a Chevrolet---it's still a car. Seems like you need to decide if you want to proceed with any treatment. It's always ok to get a secind opinion or wait. Still, hostility is not appropriate by the practicioner. I'm a 34 year old with a unilateral posterior crossbite. I've been told that this can be corrected with a quad-helix expander and braces alone, but now I'm wondering whether I need jaw surgery? Is this true? Every case is different. 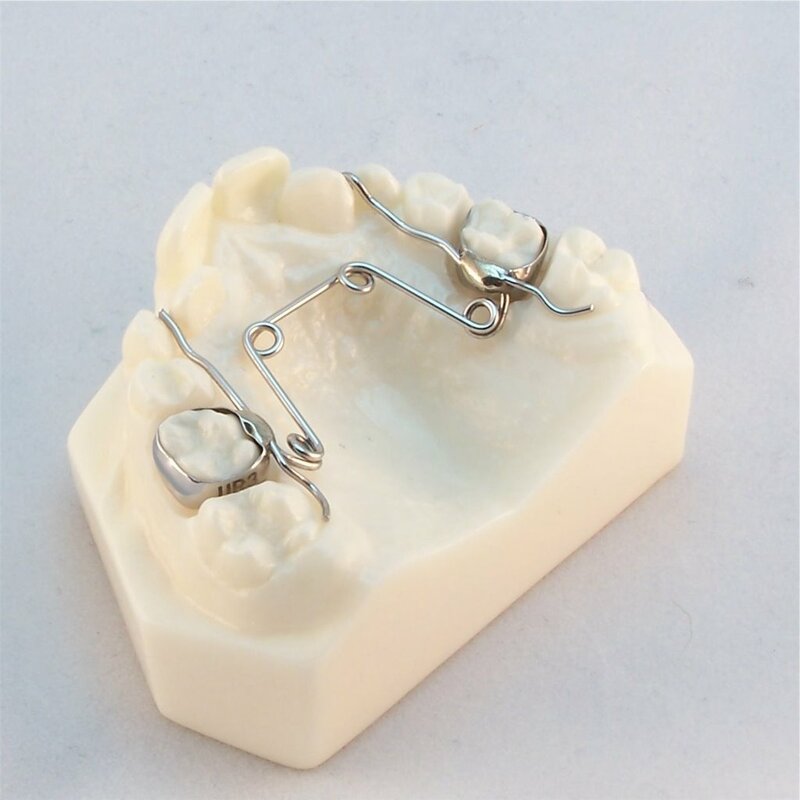 Adults, well many can be treated by a quad helix or other orthodontic appliances without surgery, --but that adults are not my specialty so to speak. Hey guys. I had a crossbite as well. At age 14 i tried the upper jaw expander and i couldn't cope with it so i removed it :(. Then at age 17 i really just wanted to fix my teeth coz i had gaps. So i went straight to braces. After 4 years all my gaps are closed and my teeth all look aesthetically pleasing. However, i actually still have abit of a crossbite. My mid lines aren't properly aligned coz my upper jaw is still too narrow. I hope when i see my 2nd opinion i can get the expander again. im 23 now, so i doubt it's even possible. But worth a shot i guess. I just recommend that people PLEASE give the expander a shot. I'm now 23 and regret not having stayed with it to begin with. I'm 19 years old and last June at 18 I got braces a second time. My first time getting them was when i was 12 years old and i had them for 2 years or so. I got them off and my teeth looked good. But I was a late "bloomer"-my first set of braces got taken off before I had started going through puberty..so my facial bone structure hadn't grown all the way yet..and my mom even warned her that all her kids are late-bloomers. So when i was growing in high school, my back teeth moved a little and i got a crossbite on my upper back three teeth. This is why I have braces again and only on the top teeth. I got them for free and my orthodontist told me I would have them from June to probably october. It is now April and the cross bite is still there. All my upper teeth have straightened but something that I've noticed that really bothers me is that my upper teeth have become slanted to the right( they're not straight across anymore). I just don't really know what she is trying to do because, if any, my teeth are getting worse and they were actually not slanted in October when she was supposed to take them off. I just want to know if what Dr. Mason is doing sounds a little strange like she might not know what she's doing?! everyone tells me they don't think I needed braces in the first place and that the cross bite was barely that bad. Any comments? or thoughts about this? Should I say anything to her? I had "two sets of braces" as well. I would encourage you to communicate with your Orthodontist. Many times patients are afraid to ask the doctor about their concerns. Hey, their your teeth. Thanks to your website I have a better understanding of what my 4-year olds dentist wants to do with his crossbite. I wondered if this is something extra with everything being so cosmetic these days, but your information has been helpful. I am worried that his little mouth can't handle such an apparatus, but if it will benefit him later in life it is worth trying. Thanks for offering your expertise. My almost 7 year old son needs a palate expander due to a crossbite he has on one side and the dentist said that if I don't fix it now and wait until he's older his face (or mouth) will become asymetrical. You can see his bottom lip is starting to go to one side very slightly. She also said that she can get him a removable expander with the key. 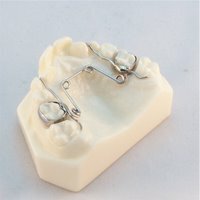 I had a steel expander when I was about 11 or 12 to widen my palate due to thumb sucking and it was cemented in my mouth. I remember my mom always turning that key. But my question is if his is removable and I can turn the key in my hand, how would I be able to fit it back into his mouth? Isn't the whole purpose of turning the expander while it's in the mouth is to "expand" the palate?